Abu Dhabi General Services Company (Musanada) said it has started construction work of Sheikh Zayed bin Sultan Road (Eastern Mangroves Road) traffic improvements project for an estimated cost of Dh97 million. In this regard, all basic works and preparations for the purpose have been completed, indicating that the company is currently engaged in transferring intervening utility lines and widening the road in collaboration and coordination with the Department of Transport (DoT), Department of Urban Planning and Municipalities (DUPM), Abu Dhabi Police General Headquarters, Abu Dhabi Distribution Company (ADDC), Monitoring and Control Centre (ADMCC) and other relevant entities. The project which covers the Ministries Intersection to the Qasr Al Bahr Intersection, will involve widening of the existing Sheikh Zayed road from Dhafeer Street to Salama Bint Butti Street by adding a new lane, thereby increasing the number of lanes from 4 to 5. 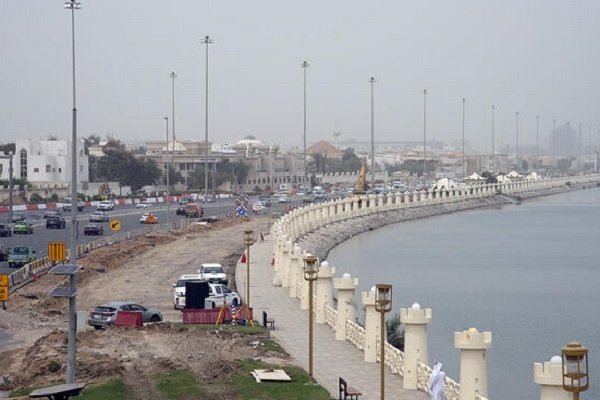 The purpose is to better accommodate traffic density during peak times and reduce traffic congestion, as the road is a major link connecting Abu Dhabi Island to the mainland, said a statement from Musanada. The Abu Dhabi firm stressed that the road widening works will be carried out without causing any obstruction to traffic movement along this vital major route, as the currently used lanes will be maintained open without any closure. Around 600 workers are engaged in this important project and will be operating round-the-clock to deliver the project within 165 days as per the approved and agreed plan while complying with international specifications and standards. The Abu Dhabi DoT has stated that this project forms part of its vision to establish an integrated and sustainable transport for a better quality of life in the emirate and the dedicated efforts to provide high quality infrastructure and construction of road and transportation networks that serve the local economy and meets the needs of individuals and the community in line with highest international standards. The new expansion and traffic improvement works to Sheikh Zayed Road will highly and effectively ensure a smoother traffic flow, reduce congestion and efficiently enhance the traffic safety on the road, amid the efforts made by the department, represented by the Integrated Transport Centre, to enhance smooth traffic flow in the emirate, it added.